Come & See Retreats– Seeking a deeper relationship with God? 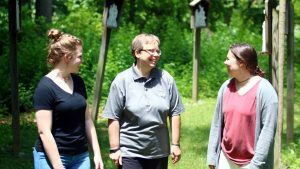 We offer retreats to explore questions of faith and to share an experience of our life of prayer, community, and service. For more information please contact us to learn when the next retreat will be offered. 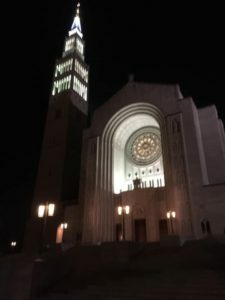 Holy Hour –1st Friday of each month at our Redeemer Chapel. You are welcome to join us for Eucharistic Adoration between 4 – 5pm on Friday, February 1st. Evening Mass & Supper – Join us for Mass and a simple meal on the last Monday of each month at 6pm. The next date is February 25th. Respond here to attend. GROW spiritually and live together in community sharing meals and prayer. Learn more about this exciting new opportunity! 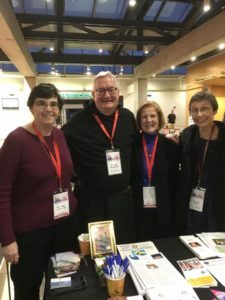 Panama in the City – Our Sister Kim traveled to Washington D.C. January 25 – 27th to participate in a local celebration of World Youth Day which simultaneously took place in Panama. 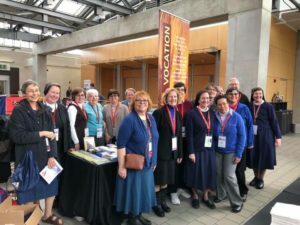 She joined several other Religious Sisters, Brothers and Priests to share the joy of consecrated life. 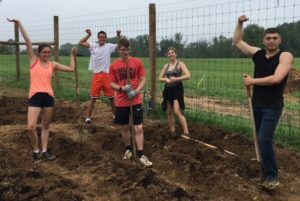 Redeemer Ministry Corp Mid-year Retreat – each year volunteers with our Redeemer Ministry Corps program participate in a weekend retreat. 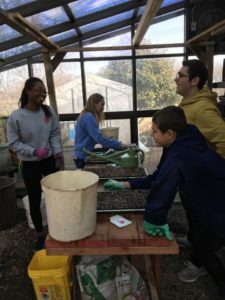 This offers a time to reflect on the first half of the volunteer year and mindfully enter into the remaining months. 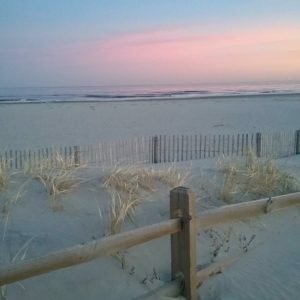 Volunteers are fortunate to take this retreat at the New Jersey shore – a place of quiet spaciousness. 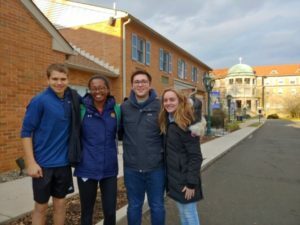 Urban Plunge – on January 6thwe welcomed four students from Notre Dame University for their 3 day immersion experience of service to learn more about the reality of poverty in the Philadelphia area. We are grateful for and inspired by their presence with us! “Jesus reveals the now of God, who comes to meet us and call us to take part in his now of “proclaiming good news to the poor… bringing liberty to the captives and recovering of sight to the blind, setting at liberty those who are oppressed, announcing the year of the Lord’s favour” (Lk 4:18-19). This is the now of God. It becomes present with Jesus: it has a face, it is flesh. It is a merciful love that does not wait for ideal or perfect situations to show itself, nor does it accept excuses for its appearance. It is God’s time, that makes every situation and place both right and proper. In Jesus, the promised future begins and becomes life.